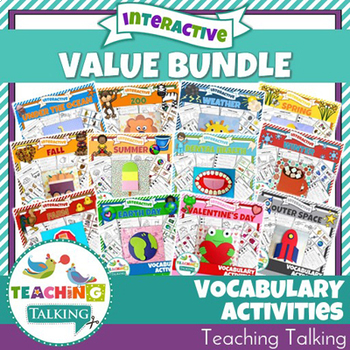 Vocabulary Activities Value Bundle ~ includes Valentine's Day Packet ! 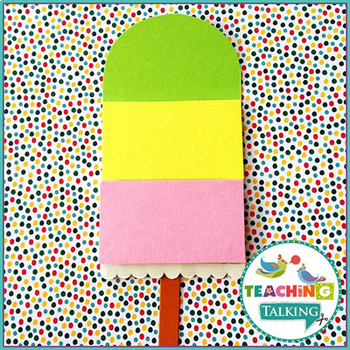 Craftivities, centers and more for teaching theme based vocabulary. 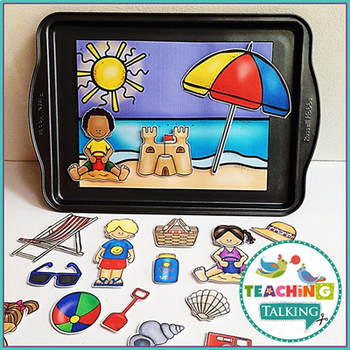 This is a value bundle of my Interactive Vocabulary Activities. 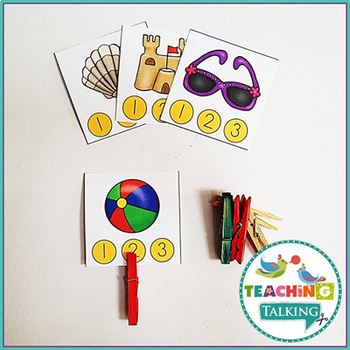 Each packet contains 5 interactive activities and will help you to reinforce theme based vocabulary for PreK & Kindergarten students. The first 4 activities focus on 8 key vocabulary terms. The 5th activity allows extension work for more able students. All activities are available in color and blacklines. Please download the preview for images and detailed descriptions of all activities (preview shows the back to school packet).